Unified Communications (UC) technology is rapidly evolving, and with this change, there is an ongoing pressure for CIOs to stay current if they want to remain competitive. As technology continues to evolve, CIOs have the added pressure to update existing technology or deploy a new solution in half the time, with half the budget – and in some cases with half the resources available to them. With only one to two years to adapt before what’s “current” becomes yesterday’s technology, you certainly want to implement communications technology solutions that rapidly adapts to changes in order to provide your business with the most current communications software and applications available for your business to stay competitive and productive. Unified Communications as a Service (UCaaS) could be the solution to address this critical business need. UCaaS is a complete service offering that can be implemented into your IT strategy over a defined period of time. With UCaas, services are delivered from the cloud, enabling your business to quickly and easily scale communications as needed and choose your preferred deployment model, be it a private, hybrid or public cloud environment. UCaaS allows for flexibility based on your requirements, and puts you in a position to make decisions based on your business practices and specific needs – not the needs of the manufacturer. The following are just a few ways deploying UCaaS prepares you to face IT challenges that may come your way. With UCaaS, businesses of all sizes can make a significant impact to their overall costs, IT efficiencies and individual productivity. Because UCaaS delivers a complete set of voice features and unified communications (UC) and collaboration applications, you can consolidate your communications staff. What implications does this have for your business? For starters, consolidating helps decrease overall spending. What’s more, you can simultaneously increase individual productivity, responsiveness and accessibility. Deploying UCaaS helps leverage the abilities of your IT staff to focus on other business issues. With UCaaS, gone are the days when your IT team ties up a majority of their time dealing with testing, scheduling and installing new software updates. Ideally, all departments and levels in a corporation should interact with one another to collaborate toward a common goal – UCaaS helps make this possible by offering the ability for you to achieve on-demand access across any device. With a comprehensive suite of powerful UC and collaboration applications, your business will quickly and easily be able to streamline communications and information delivery. Deploying UCaas in your organization will provide a consistent user experience across multiple devices which, in turn, minimize the need for training so the user’s time can be dedicated to other tasks. The evolution of UCaaS has spanned from basic features such as Unified Messaging, Presence and IM to an ever expanding set of new capabilities. UCaaS enables your employees to tailor their communications to the specific needs of their role, plus gives total control over how, when and where they choose to be reached. We’d all like to reduce, and if possible, eliminate hardware costs altogether but still receive all the features and benefits of our applications, right? Gartner predicts that by 2015, 35% of technology spending won’t be controlled by IT but by the business. So, with that in mind, remember the following about UCaas: (1) Since UCaas is consistently upgraded, there is no need to budget, purchase, and install hardware upgrades, so critical IT resources can be dedicated to other projects that help your business to compete better in the market. (2) With UCaaS, you have upfront clear per-user costs, which simplify the service you offer your organization. You decide what you need and when. For example, you can purchase communications as an Operating Expense (OPEX) for a fraction of the upfront costs that you’d incur in a traditional Capital Expense (CAPEX) model – simply choose the solution(s) that best suit your needs at limited or no upfront cost (3) UCaas is also offered at consistent and predictable costs, which reduces the headache of searching for additional budget to fund costly projects. 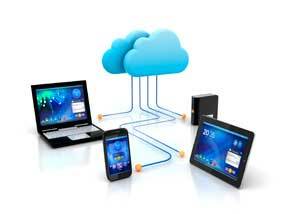 With UCaaS, standard UC features (with varying functionality) are offered on a per-seat basis. This means that the monthly seat cost includes system requirements needed to for you to leverage the functions of your UC system. Just because UCaaS consists of a standard set of offerings, you can still implement an offering that doesn’t require all users to be at the same level. For example, a phone in a public area for general use shouldn’t cost the same as the applications delivered to your CEO. The flexibility to customize these options, along with the ability to add on additional features to meet specific needs, ensures that you’re delivering a service that’s valued by the organization. Check out the CIO.com webinar to learn more about how implementing UCaaS can help your business successfully overcome technology challenges without risking your ability to stay competitive. Hey Buddy!, I found this information for you: "Great article from Garry Laxdal of WBM Office Systems". Here is the website link: http://nectoday.com/great-article-from-garry-laxdal-of-wbm-office-systems/. Thank you.